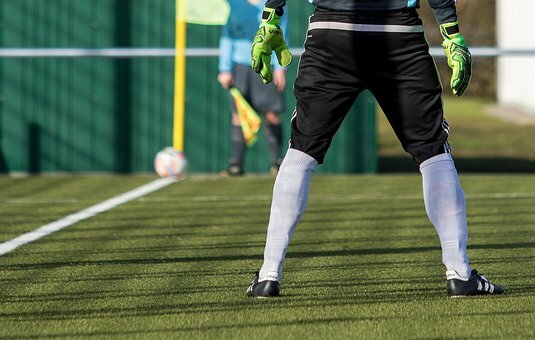 How do you become a better football goalkeeper? The answer is to master the lost art of football and catching the ball. Mastering the art has no shortcuts you must train and practice on a regular basis. Let’s hope that the theory to make sure the ball does not reach the goal will be a faint memory. Just blocking shots or brushing them away isn’t enough it requires detailed mastery of the art in order to make the best goalkeeper. So, how do you become a good goalkeeper? First, to be a successful goalkeeper you must change the way you think. You must critically think before making any movement. For instance being a soccer goalie is not just about brush the ball, by just slapping the ball away you will accomplish nothing other than giving the attacking team a break. Considering the fact that at that time the goalkeeper may be on the ground or terribly out of position, a ball in the back of the net becomes almost certain. Of course, if the ball falls beyond the boundaries behind or above the goal, you have won a dreaded “corner”. In addition to a penalty or a free kick just outside the 18th, a corner is the most dangerous play in the game. In short for every move made it should be a calculated one. Once you are convinced that you can properly handle or catch the ball, the next step is proper training to effect this skill. Repeat is the key. You play as you practice. 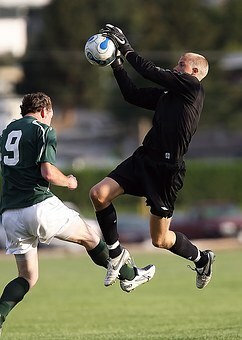 A goalkeeper must try to capture every ball in the air when practicing. It is more effective to train with a partner. Start by hitting the ball in the air at each other. Make shooting more and more difficult with time. Use a mixture of volleys, half volleys, ground shots, and headers. Make sure you practice good shapes and fundamentals with each shot and above all, cushion each catch. 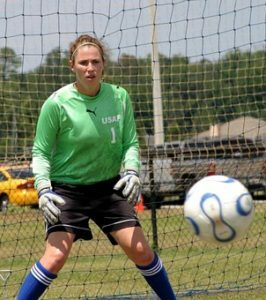 For a soccer goalkeeper, the cushioning effect of the gloves can be improved by having the hands in front of the body and bringing the ball to the body while the ball hits the hands. This increase the impact time between the hands and the ball making the ball less hard on the hands. For proper cushioning, you will need soccer gloves. The soccer gloves will not only help you in cushioning of the ball but also in protecting your hands from bruises and injuries. Depending on your preferences and choices, there are lots of varieties to choose from. Once you’ve learned to cushion the ball and handle hard shots properly don’t expect anything other than success. You must continue to practice until you develop mastery of the art. You will find that the more you exercise, the easier it becomes. Your next step is to make sure you wait for success because it will come. But you don’t have to sit and wait to do some practices and it will automatically come. Good luck.